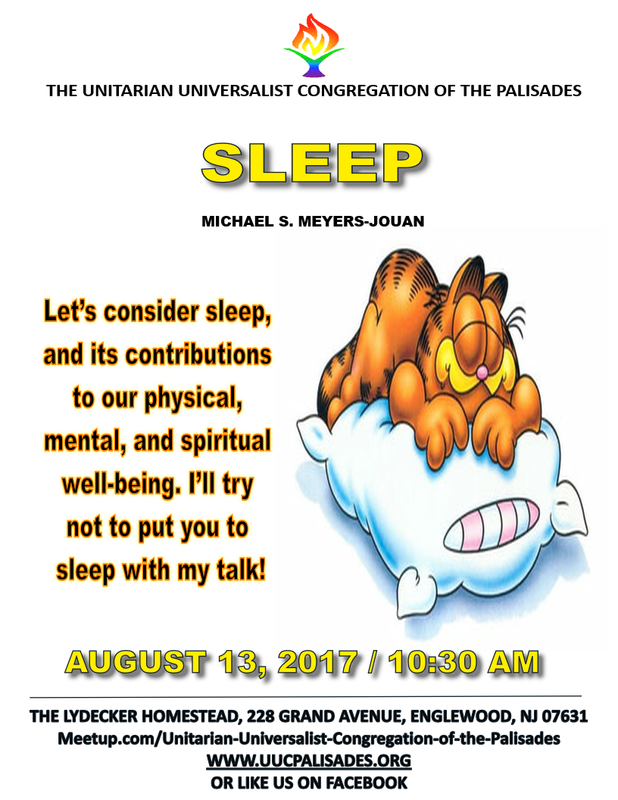 Please join us for today’s service led by UUCP member Michael S. Meyers-Jouan. Let’s consider sleep, and its contributions to our physical, mental, and spiritual well-being. 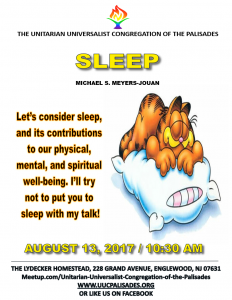 I’ll try not to put you to sleep with my talk!